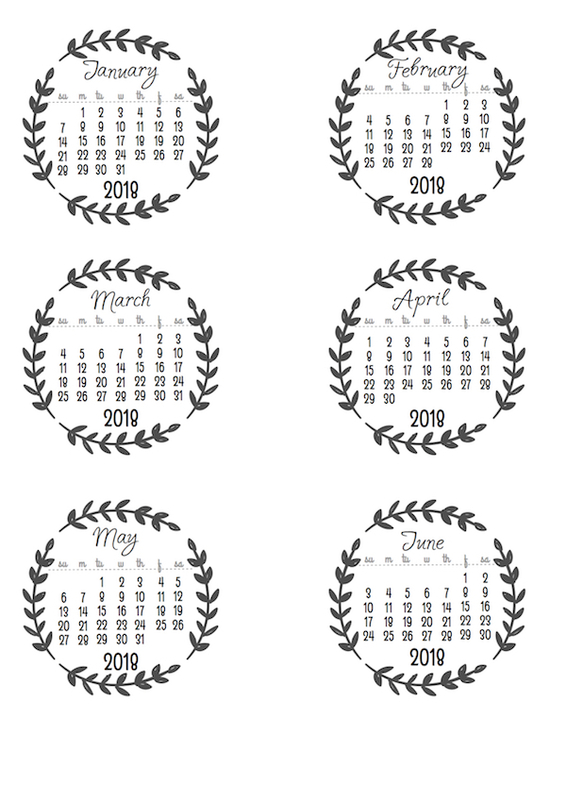 Here are the small circle calendars I posted about a while back. Finally got around to finishing them, between coats of paint. There are both coloured and B&W versions, and both 2017 and 2018 versions. Another request in a comment was for the ever-popular doily calendar as a single page. As soon as I read the comment I had an idea that I thought would work. I think it did – what do you think? The movers actually move the furniture (and all the books and all the kitchen stuff) end of this week and then the grand unpacking begins. In advance of that, a new vinyl floor has been slapped over the old laminate and the kitchen already looks better. There is a bit of painting to freshen the kitchen up and I may try bleaching the grout (or possibly re-grouting) and may try to match the colour of the cabinets so I can touch them up but that is it till we replace it. Once our stuff is all in the house, it’ll be all about altering the curtains to fit the 94-98 inch drops on the TALL windows, and trying to make 30 years of mis-matched furniture work together. Then it will be room-by-room styling and planning the kitchen. At the moment I am looking at gallery walls and furniture arrangement for a few awkward spaces. With all that going on, expect it to be all quiet on the blogging front for longer than I would like.Wish me luck…. Those are so cute! I really love the floral design you used. Beautiful, thanks so much for sharing. It’s hard to believe it’s that time of year again already, but getting organised with things like this now is so helpful. Pinning. Can you do the leafy coloured circles for 2019 please. I’m a substitute teacher so I make my own planner and I love that yearly calendar. I have the 2017-2018 and it’s so pretty and it makes me happy when I see and use it, than you! Yes, I can probable work that in. soonish but not immediately. Watch this space…..
And they are up but I can’t let you know or email them to you as you commented Anonymously. Hope you see them! I love your calendars!! I hope you will post some of them in Spanish !! Please, I wait for them. Thank you, have a nice week!! 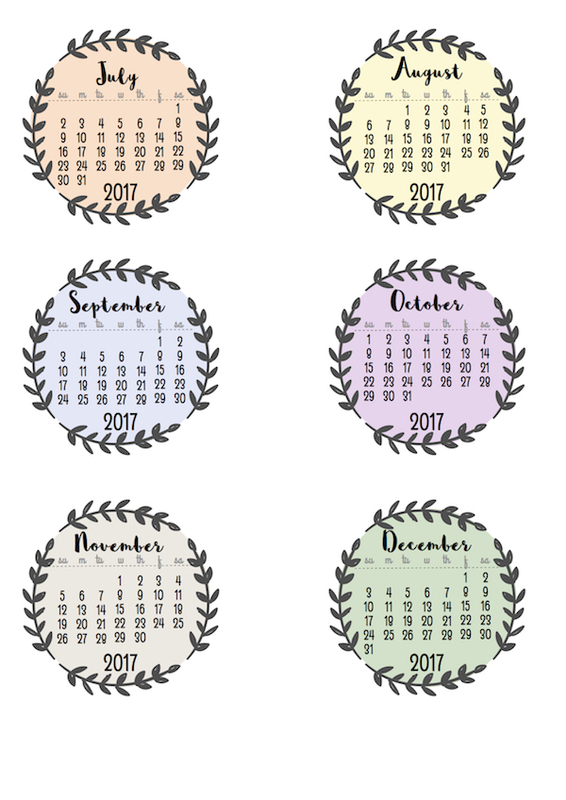 I love your doily calendar for 2017 – would love a 2018 and 2019 version! 🙂 Thank you! So creative. Thank you so very much for sharing your calendars with everyone! I really appreciate it! I have a request…do you do perpetual calendars? I really feel bad putting away the calendars at the of each year….Thanks again! I have had a long look at the internet and nothing seems workable. All the perpetual calendars have moving parts and it seems that is not very compatible with something inside a CD case. If you found one that you feel would work and send me the link, I would be happy to give it a go. Otherwise the only way I can see it working is to make every version of the month blocks (one each starting the month on Sunday, with 28, 29 30, and 31 day, then one each starting on a Monday, a Tuesday, etc etc. And 12 month sheets. Or research the next 20 years to see if that number could be cut down by a few. Then you would have to attach the proper block for the month to the plain sheet with the month name on it and probably write on the date. The whole thing would be a heck of a pain. I just can’t see any easy way to do it that would look as pretty. It is easier for me to make a new one each year than it is to work out a perpetual one 🙂 At some point I will be able to just change the year – if I live that long LOL! Hi sorry it seems so complicated….actually just wanted you know if you could just remove the year & the days of the week from the models you create (the round ones). 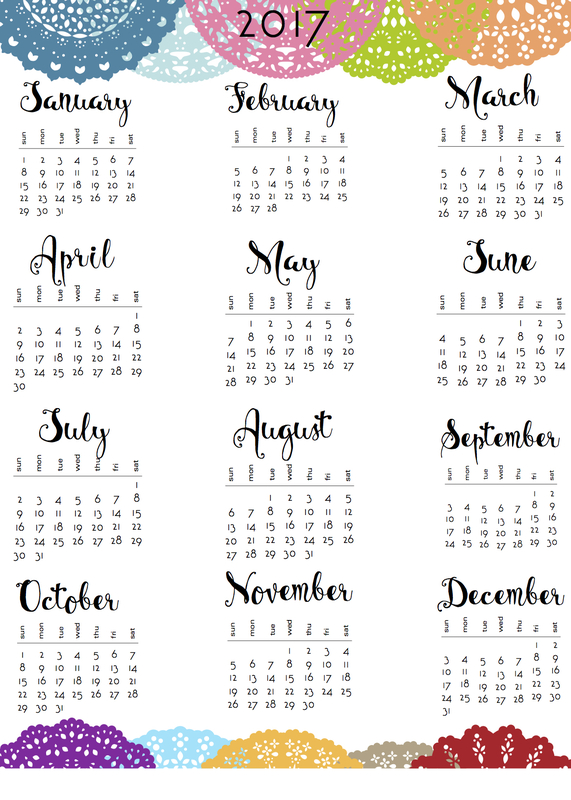 So what you really mean is you want one that is just the month and the number of days it has (two for February to cover Leap years), to cover every option, starting in the first position, with no year and no indication of what day of the week the calendar falls on?? I can do that but it seems less than useful with no day of the week info. Again, can you sen me a link to an image so I can be sure I am understanding it right? The fern borders are wonderful. Wonder what font you used for the doily calendar? The 2017 one is Bellanche Script (from this bundle, or another like it – they tend to bundle things differently and offer them again and again) and the older 2016 one is Janda Stylish Script. Thank you for the doily calendars that you posted. I know you are busy, but do you think you can do the doily calendars vertical so the doily is at the top or the bottom so the calendar is 4 inches tall and 3 inches wide ( so they are tall). I love what you sent but for my project I need the other version. Thank you for all you do. I also love hearing about you new home and what you are doing. Sounds like a lot of work but I know you will love everything when you are done. Happy unpacking. Looking forward to hearing from you soon. possibly, but I can’t say when ….. Thank you so much for the latest round of calendars. You’re a true dynamo to be able to make calendars as well as remodel your new home! I’d like to tap into your source of energy for a few months! LOL Thanks again for sharing these amazing calendars! Thank you for the calendars.